As readers will know I’m currently writing the sequel to my Robin Hood novel “Loxley”, in which I’m very much trying to place the legend in its time – and the time of origin in Robin Hood is highly debatable! So anything even vaguely medieval is of great interest to me. Last week I visited Burnham Deepdale church in Norfolk and found the gem described below – a real indication of how the labourers in the fields spent the year. So take a look. And if you haven’t read “Loxley” yet do follow the links on the pages above. In my walk blog yesterday I mentioned our visit to Burnham Deepdale church on the Norfolk coast. Within is an early Norman font, one of the oldest in England. In 1797, this font was broken and taken away to Fincham Rectory for repair. It remained there for some forty years before being returned to the church. The font is made of Barnack stone from Rutland. What I find interesting is that the carvings show the farming year from the point of view of a medieval labourer. It offers a fascinating glimpse of the past and the way people lived. There are also some wonderful fragments of medieval glass nearby. This is a church well worth a visit. My pictures don’t do the font justice, so if you are in Norfolk please do go and have a look for yourself. Do click on the pictures to bring them up to a larger size. December – A community feast. That now mars his meed? Just click on the link here for a quick buy of Loxley, now in paperback and on Kindle. For anyone who enjoyed the first book in “The Chronicles of Robin Hood”, I’m pleased to report that “Loxley” is selling very well. I’m now hard at work on the second novel in the sequence which will, fingers crossed, be out for Christmas in paperback and as an eBook. I’m very much enjoying writing the new villain, who’s far nastier than even Sir Brian du Bois in the first book. All the outlaws will be back and in more peril than ever. And we’ll learn a lot more about the origins of Robin Hood. And the Sheriff and Sir Guy of Gisborne have just got even more dangerous. It’s winter in Sherwood Forest as the new book begins and things are getting chillier in more ways than one. Please click follow on this blog as I’ll be doing regular updates, extracts and lots more. And there’ll be a chance to pre-order. And if you haven’t read Loxley yet, please do click on the link below. It’s in paperback now and on Kindle and should be available on Kobo and Nook by the end of this month. If you could share the link with friends I’d be thrilled. Thank you. 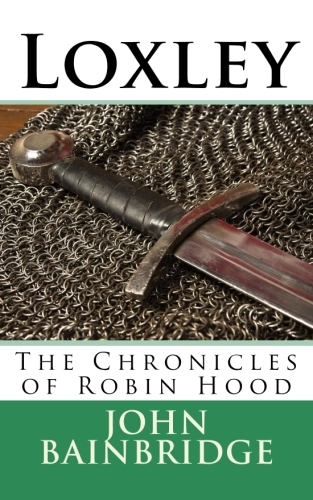 And if you’re not into Robin Hood, do look at the books page above and try the crime novels and thrillers. The Fight for Justice has Begun!